This is something interesting and time saving method. 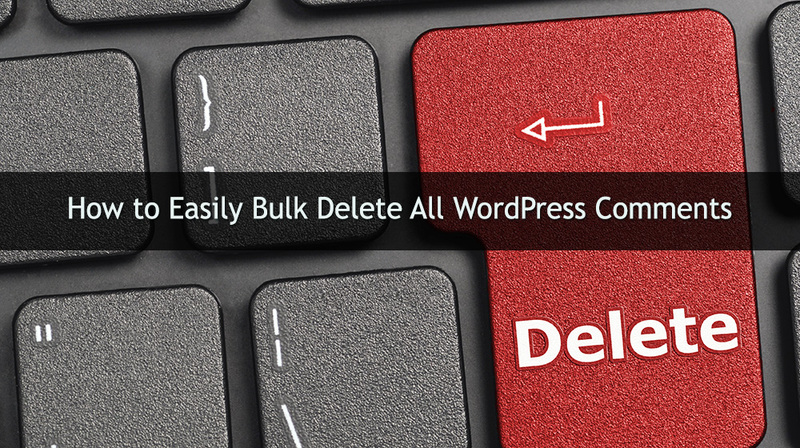 Yeah, it’s a bulk, one click option to remove unwanted comments from your WordPress websites. If you are using multiple WordPress websites, this should help you to save many hours. If your WordPress sites are not properly configured against Spam comments, you may receive 100s of comments per day or week. Access WordPress dashboard→ Click on “Comments” from the left side tab → You can sort and select comments from there → Select bulk action. But you can only select a maximum of 20 comments from there. That’s the only problem. If you have to remove 1000s of emails this method will be a painful one. Here we are going with a smart solution for this problem. Yeah you can do this from the PhpMyAdmin tab via cPanel/WHM or from the MySQL interface via command line. How to remove unwanted comments from from your WordPress site? The comments are categorized as Pending, Approved, Spam and Trash. Here you can select anyone of this to execute the MySQL query. Step one : Log into cPanel and access PhpMyAdmin. Step two : Select the database correctly. Step three : Click on SQL tab; then execute your query. Here replace 1 in the above command to 0, that’s it.